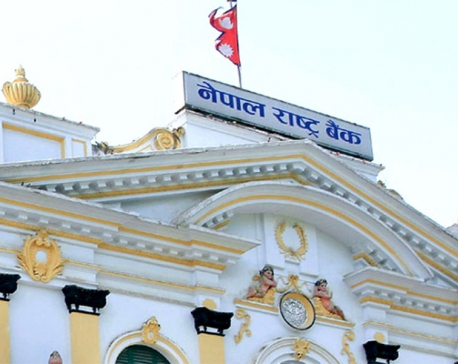 KATHMANDU, Sept 1: The parliament has endorsed a bill to make amendment to Nepal Rastra Bank Act, 2002, restricting officials of Nepal Rastra Bank (NRB) from joining bank and financial institutions (BFIs) for a certain period. The full house meeting of the parliament approved the amendment bill along with the Bill on Establishment and Operation of Deposit and Credit Guarantee Corporation, and amendment bill on Employees Provident Fund (Ninth Amendment) Act, among others. The amendments will come into effect following their authentication by President Bidya Devi Bhandari. The fresh amendment bars NRB Governor from taking any post in BFIs. Similarly, deputy governors and executive directors of the central bank will not be allowed to join any BFI up to three years of their retirement or leaving the central bank job. Likewise, the amendment on the legislation has placed a cooling period of two years for the officer-level staff of the central bank, which means an NRB officer will not be able to accept any job with the BFI for up to two years of leaving the central bank. "Since working with other BFIs after quitting central bank makes adverse impact on corporate governance of BFI, the new measure has been include”," the amendment bill reads. The new measures come in the wake of NRB officials joining BFIs that they once regulate and supervise. Currently, nearly two dozen formal central bankers are working with different BFIs. While the original draft had proposed a cooling period of up to seven years and five years for deputy governor and executive director, respectively, the parliamentary Finance Committee had brought down such period to three years of officials of both levels. Restriction for officer level staffs was added by the committee. Corporate governance experts say that joining BFIs immediately after retirement or relinquishing the central bank's post raises the issue of conflict of interest. Joining private BFIs, so far, had become an ethical rather than legal issue for central bankers due to lack of clear provisions in the law. 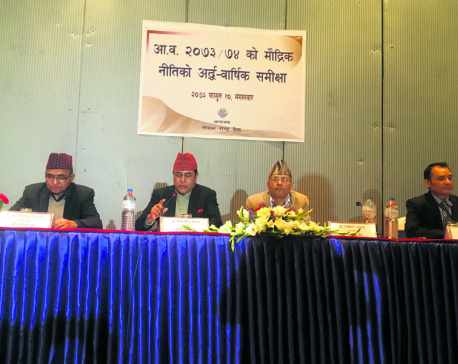 "In the absence of measures to block central bank officials from joining BFIs, the regulator could fail to discharge his/her duty of regulation of any BFIs out of a desire to get the job," said Bhaskar Mani Gyawali, a former executive director of NRB who is for completely shutting the door for central bankers to enter into BFIs after leaving the NRB. "When you sit in a chair of the regulator, you should get rid of any conflict of interest, prejudice or private gain. The new measure in the legislation is a step forward to distance banking regulator from the private interest or desire," he added.